Should both parties are agreeable to the terms of the divorce, this would constitute an uncontested divorce. An uncontested divorce is a simple procedure as both parties are amenable to the dissolution of the marriage as well as the settlement of all ancillary matters. In such situations, legal fees are minimal as the couple only need employ the services of one lawyer to draw up the necessary documents for submission to the Courts on behalf of both parties. These divorce proceedings are also settled swiftly as hearing takes only a few minutes and are often resolved quietly. once both parties have agreed on all ancillary matters, e.g. an Agreed Parenting Plan for children below 21 years of age and an Agreed Matrimonial Property Plan wih regards to HDB flats, a Draft Consent Order can be filed. Matters, however, become complicated when parties do not see eye to eye on the dissolution of their marriage, especially with regards to ancillary matters like spousal maintenance, child custody issues, child support, visitation rights, assets division. Parties may feel that claims by the other party are unfair and unreasonable and decide to file a counterclaim. Such disputes could be due to both parties not agreeing on the period of separation; child custodial issues; child support; spousal maintenance; how to divide up joint property and assets; how much each party is entitled to. A Defendant who is contesting the Writ has 22 days from the date of service of the Writ of Divorce to file a Defence and to serve it to the Plaintiff. Whilst uncontested divorces go directly to hearing upon issuance of a Writ of Divorce, contested divorce cases have to through a Pre-Trial Conference. Pre-Trial Conferences can also take the form of Mediation, where both parties sit down to try to iron out as much of the contested issues as possible before going to hearing. The objective of a Pre-Trial Conference is to resolve as many of the issues before going for a hearing. Often, contested divorce proceedings can go on for long periods as counsel for both parties pull out affidavits, documentary evidence, and witness testimonies to support their case. 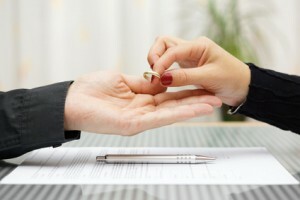 Contested Divorce can also be financially prohibitive as legal counsel has to be attained on both sides, as well as many other costs such as hiring private investigators, and payments for the various services that need to be undertaken to uncover and prepare documents and information relevant to the case.